by Kuratko, Donald F., Welsch, Harold P.
Kuratko, Donald F., Welsch, Harold P.
This text transforms the strategic process for entrepreneurs into a growth-oriented approach. 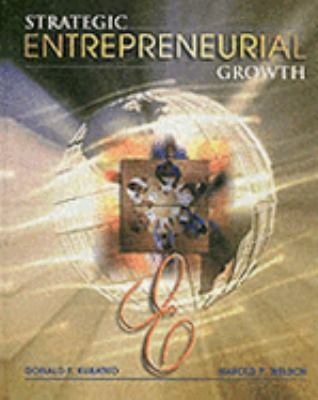 It covers the challenge of entrepreneurial growth, strategic planning in emerging ventures and a discussion of entrepreneurial issues today.Kuratko, Donald F. is the author of 'Strategic Entrepreneurial Growth With Infotrac' with ISBN 9780030319365 and ISBN 0030319366. Loading marketplace prices 6 copies from $1.93 How does the rental process work?